Does the average Haitian farmer know how much Nitrogen Corn Needs to Grow? Legume Crops like vegetative legumes, shrub legumes and tree legumes are known as Nitrogen fixing plants. 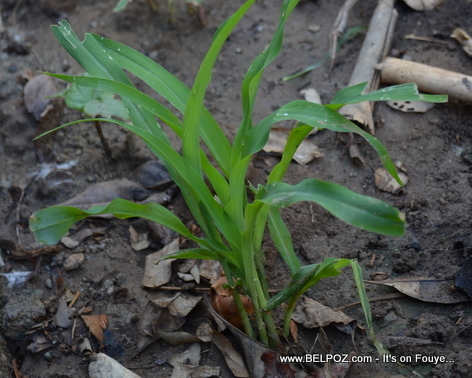 Without going into details, they replenish the soil with nitrogen that corn needs in turn to grow. I found all this out with only a couple minute research on the web... The average Haitian farmer doesn't have access to the Internet and I don't really see a whole lot of AGRO businesses in my neck of the woods, you know, businesses who would sell seeds and fertilizers to the Haitian farmers and would also educate them somewhat. Now I am thinking... Maybe that's why Haitian farmers plant 'PWA' (beens) together with corn. This knowledge perhaps has been passed down to them but I'll be honest with you... I have never heard any Haitian farmer mention the words 'NITROGEN' to me in my lifetime. My question to you is: Do you think the average Haitian farmer know how much Nitrogen Corn Needs to Grow? « Happy New Year 2014 - Happy 210 Haiti Independence Day! They do know they just don't want to do but I can feel some change going one in our courntry we just have to take it easy God bless Haiti I love my Haiti.